Ambiente, acolhedor e familiar. Melhores edredons. Camas ótimas, muito bem aquecido. Super indicico. Everything was great! The breakfast was good and everything was very clean! Great internet conection. Nice and clean for backpackers! Cama desconfortável, mas uma atendente atenciosa e que prontamente me ajudou quando percebi que tinha feito a reserva no dia errado. I had a great stay at Roomin hostel. Dorms are big and beds are comfy. Staff is helpful and overall conditions of the building are OK. 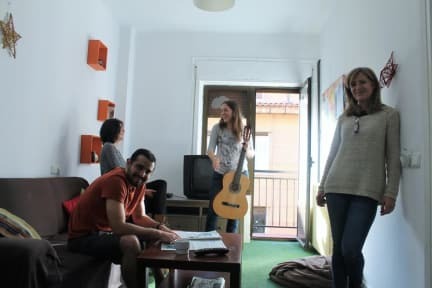 Since I was attending classes I didn't want much noise and it worked fine, no fiestas, but you still can chat with other travelers in the common area. Only problem was that I paid for a 2-bed room and they put me in a 8-bed. I was alone for some days but on the last one I slept with three other people. Apart from that everything was fine. I didn't spend a lot of time there. The hostel is simple but clean. I had to leave early in the morning (5am) but the breakfast was already made, which was great for me. At least for short stay I recommend.